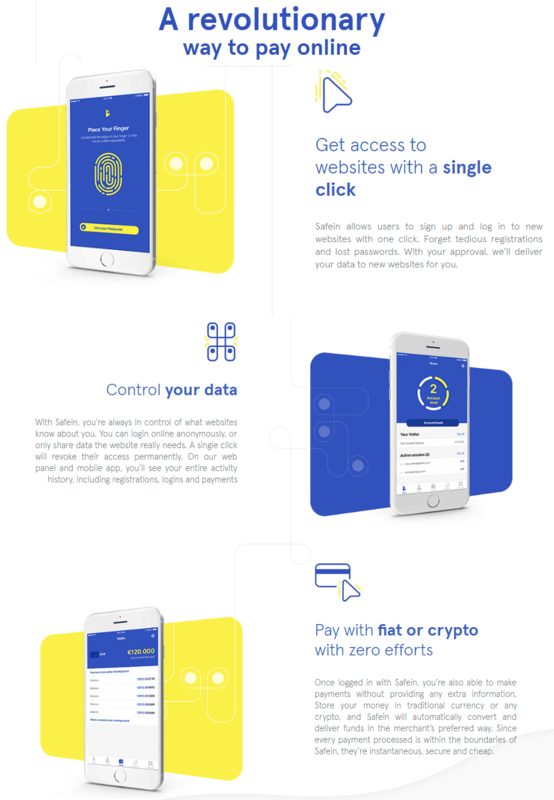 Safein addresses today’s problems in e-commerce and cryptocurrency transactions by offering a single-click sign-in, verification and payments functionality. Revolutionary referral program with token rewards. Lower compliance costs and risks as well as buyer protection. Revolutionary referral growth model, consisting of a Referral, Registration and Login token pools. Establishing our user base by moving from sector to sector and improving user experience in such sectors: first in crypto business, gaming, financial services, then moving to e-commerce and widespread adoption.